On July 4, when Kevin Durant announced that he would be taking his talents to the Golden State Warriors, the team instantly became the clear favorites to win the 2017 NBA Championship. 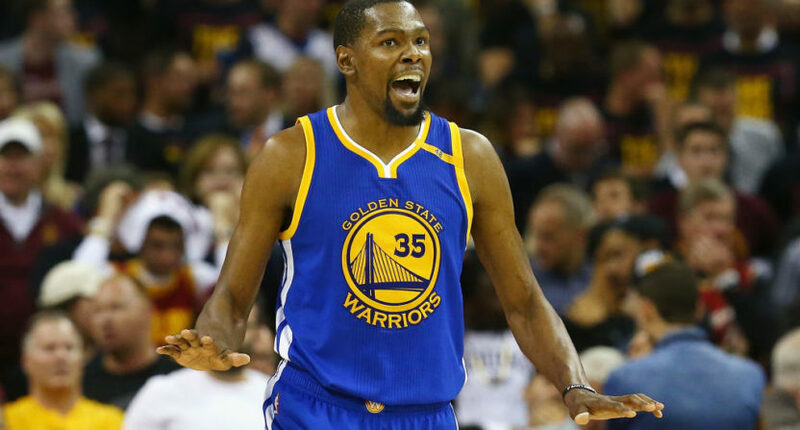 The reaction to Durant’s announcement from the majority of fans, commentators, and experts was that the Durant addition turned Golden State into an unstoppable force that would be too difficult for defending champion Cleveland to beat in a seven game series. They turned out to be right, as the Warriors beat the Cavs Monday night in Game 5 of the NBA Finals to win their second championship in three years. The victory was the icing on what was perhaps the most dominant playoff run in NBA history, as Golden State finished the postseason with a 15-1 record. Hot take: Golden State will not win the NBA title next year with Kevin Durant. Too many cooks. ??? I will get on the record right now and say it. #Warriors will not win a title as currently constituted. Durant will not fit with that team. Considering I won't be a college athlete next finals…I'm taking all bets. Warriors will not win the finals next year! Warriors not winning the finals in 2017.